I hope you’ll find it helpful as you learn (or remember) to prioritise your self care and Feel Better Every Day. 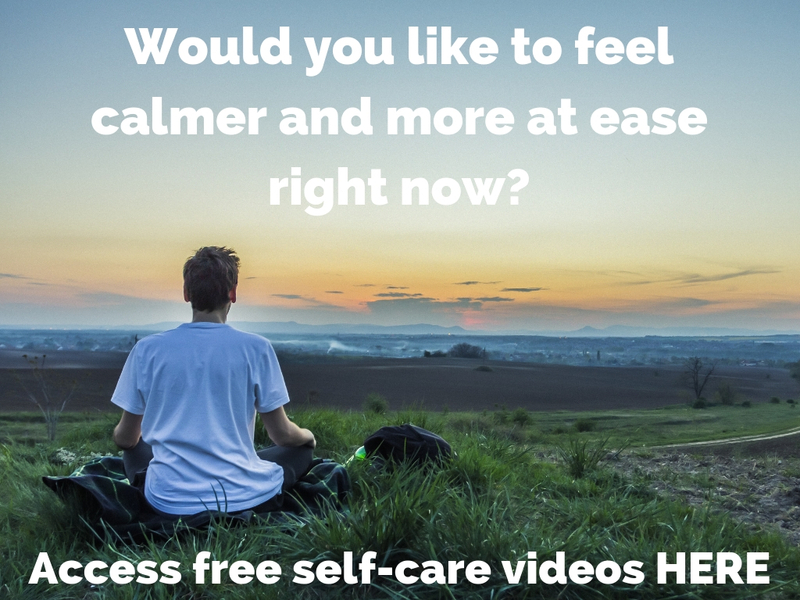 Feel free to experiment with the free resources here, on my social media and in the newsletters (sign up below and get free Sleep Well bonuses, too). Would you like to learn how to heal your own mind, body, heart and soul? How would it feel to know you can handle life’s changes and transitions with greater ease, equanimity and grace? Whether chosen (like a longed for move, promotion, new job, business or family) or unexpected (dealing with bereavements, breakups, redundancies and other losses). To be free from anxiety and to know how to use it to improve your life when it cropped up? To not only get through the traumas you’ve survived (learning to help yourself when you get flooded or triggered) but to learn to harvest that pain and strength to flourish? To get from Post Traumatic Stress (PTS) and Post Traumatic Stress Disorder (PTSD) to (potentially, with time) Post Traumatic Growth? To get a good night’s sleep most if not all nights, waking up refreshed, energised and excited about the day ahead? To know how to handle stress so that you’re constantly evolving, developing and growing as you live up to your potential but are free from the overwhelm and negative stress that comes from not setting boundaries? To feel empowered and confident, able to stand up for yourself and others, and free to be happy as your human (both flawed and divine) self? To be able to bounce back with resilience and grace when obstacles arise? To find more purpose, meaning and joy, using what feels good as a navigation system to help you create and sustain a happier, fuller and more peaceful life? Are you ready to prioritise your mental health and wellbeing? Online counselling and face to face counselling in Colchester, Essex (coming soon to Westport, Co Mayo, Ireland) can support you with these issues and more. For some people and issues, one session is enough. In these cases, Single Session Therapy or Breakthrough Coaching Sessions can be ideal. 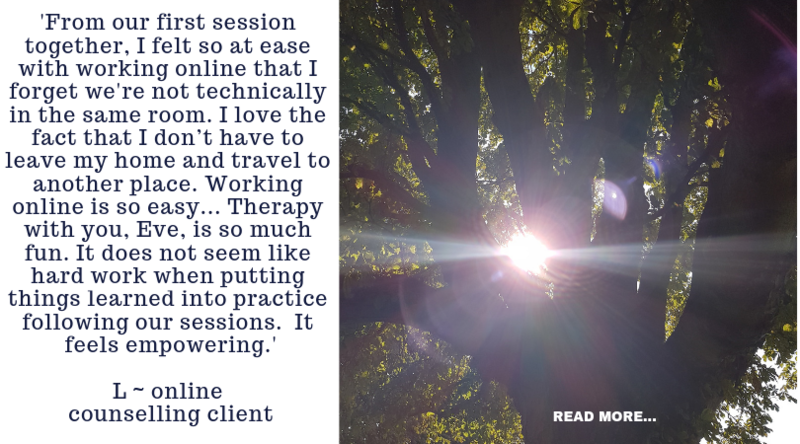 Mostly online and by telephone, Single Session Therapy is also available in Colchester, Essex (coming soon to Westport, Co Mayo). Brief therapy and mid term counselling are also currently available online and in Colchester, Essex. Longer term, open-ended counselling is available by telephone and online. As a psychosynthesis counsellor, as well as working with whatever practical issues you want support with, we can work with what might be emerging at a soul level. How everything that happens can, potentially, lead to deeper thriving. You can also work with me by doing my unique Sleep Well Online Programme or Rainbow Coaching for Self Care Online Programme or by attending my bespoke workshops and events. Online supervision can support you in your practice if you’re an integrative therapist, integrative counsellor, psychosynthesis counsellor, coach, coach-therapist, yoga therapist and/or if you work with clients who are dealing with trauma, anxiety, stress, sleep issues, confidence and self-esteem, resilience and seeking purpose, meaning and joy. Supervision is also available in Colchester, Essex (coming soon to Westport, Co Mayo). To clarify re the idea of counselling being fun, while my practice is called Feel Better Every Day with Eve Menezes Cunningham, this doesn’t mean it’s all sunshine, kittens, rainbows and unicorns – people generally don’t first get in touch because life is wonderful. Still, by prioritising self-care, even on the bad days, you can STILL feel better, knowing how far you’ve come and also connecting with the richness and potential for transformation that the darkness can offer. My approach will help you help yourself feel better in the moment and decide if you want to dig deeper, too. Also, the more we heal our wounds, the greater the potential for joy and delight. This work helps us expand our whole emotional landscape. Are you ready to improve your self care to heal your mind, body, heart and soul? Could you use some support in figuring out what you need most in any given moment to create a happier, fuller and more peaceful life? I’m the award winning author of 365 Ways to Feel Better: Self-care Ideas for Embodied Wellbeing (White Owl, 2017), a yoga therapist and instructor, a psychosynthesis counsellor, integrative coach-therapist, Advanced EFT Practitioner, NLP Master Practitioner and crystal coach and therapist. I have served on the BACP’s Coaching Executive since 2014 and continue to do so (I was Chair from January 2017 to November 2018). This means that if you’re drawn to any of these approaches, we can integrate it into our work together. Self care, self-care – what’s the difference? 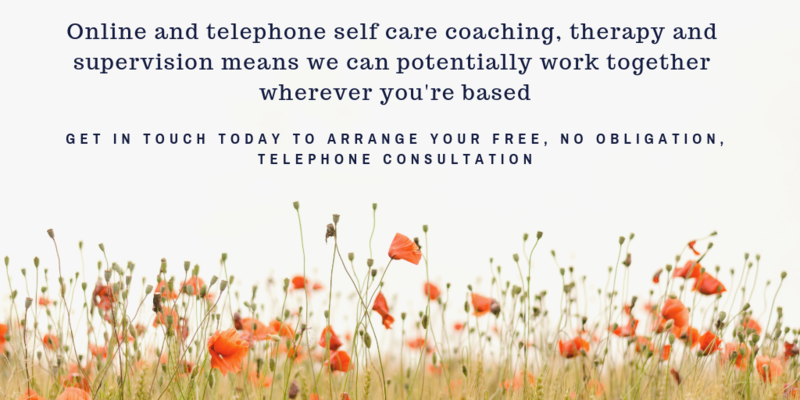 Whether you want some self-care coaching, therapy or supervision or feel some Self care coaching, therapy or supervision might be more appropriate, I can help. Self-care coaching, therapy and supervision for your mind, body, heart and soul is a holistic approach. Self care coaching, therapy and supervision is about accessing that inner knowledge we sometimes forget about. In psychosynthesis, this is known as the Self (with an upper case S). In some other traditions, it’s known as the Higher Self. In ENLP, it’s the Miraculous Self. With Self care coaching, therapy and supervision, we’re looking not just at the issues you want support with but what might be trying to emerge at a soul level. When we move with this inner knowing and flow with life, it can be both healing and transformative. While all my work honours the part of you that’s more than whatever you’re survived or are facing, a one off Miraculous Self Care Coaching and Reading might be of interest if you’d like to connect with this powerful part of yourself. Accredited as a counsellor in the UK and Ireland, we can potentially work together through online coaching, online counselling, online Single Session Therapy and online supervision wherever you live. Sometimes this is done by telephone or by secure video conferencing. Whether you already know what you want – today, this week, this month, this year or beyond – or would like support figuring it out, I’d love to help you get there. Have a look around my online home to find out how my holistic approach can help you create a happier, fuller and more peaceful life.